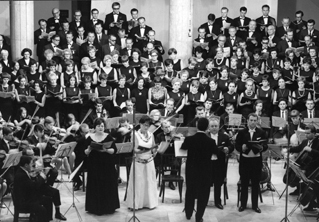 The choir was founded on the 25th September 1956, on the initiative of music loving amateur singers of Veszprém, with the mission of building bridges between composers and audience through the joy of re-creation and artistic interpretation. They still strongly believe that music makes life more human, more beautiful and also more compound. 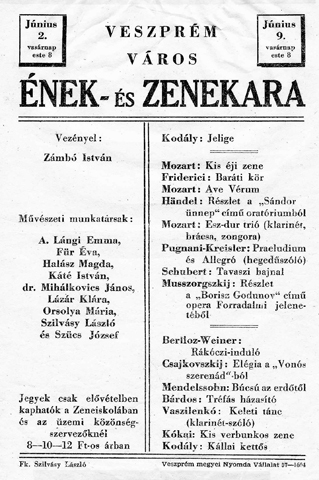 The first 25 years were closely connected to the founder conductor, Professor Zámbó István, who, within a few years, had led his ensemble to the top of the European choral scene, marked with the long-lasting series of success at international festivals and competitions from Arezzo to Llangollen, from Debrecen to Gorizia. The Veszprém City Choir has achieved remarkable successes under the conductorship of its present director, Erdélyi Ágnes, including the highest rank of the Hungarian Choirs’ Qualification, prizes in the Zadar International Choir Contest and the Budapest International Choir Competition. The choir’s repertoire embraces the masterpieces of the a cappella literature as well as the major oratorios co-performing with professional orchestras and renowned guest-conductors. They are devoted first performers of the compositions of contemporary Hungarian composers. Since 1967, the choir has been taking part at international choral projects of Europa Cantat (EC Festivals in Namur, Bremen, Graz, Herning) including not less than four International Singing Weeks, which were organised in Veszprém (1968, 1971, 1992, 1996). 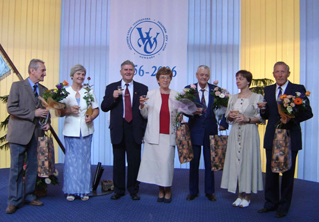 The Veszprém City Choir was the host-ensemble of the American-Hungarian Choral Days, Vox Iuventae, and recently, from the year of the Millennium on, the Vivace International Choir Festivals as well. 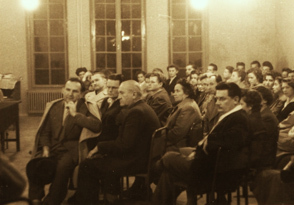 The Veszprém City Choir toured all over Europe, including Austria, Belgium, Estonia, Finland, France, Germany, Italy, The Netherlands, Rumania-Translyvania, Slovakia, Spain and Switzerland. The chorus was decorated with the Pro Urbe Veszprém Award in 1995, is a “Distinguished Art community of Veszprém City of County Rank”, promoted by the municipality, working now as an Association. 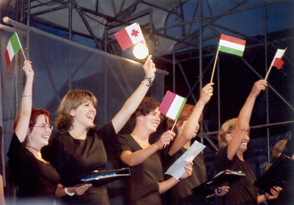 In 2003, they were the very first amateur choir awarded with the Csokonai Prize for Amateur Art Communities, founded by the Hungarian Ministry of Culture. Address: 8200 Veszprém, Brusznyai u. 2.